To make an amazing web developer portfolio is not easy, and here are top 12 best web developer portfolio websites for you to get inspired. Is there a clear call-to-action button for others to quickly learn about you? Is there any confusing part for the website layout? Is it too much wordy when displaying your personal talent or professionalism? Does the webpage show the core issues that users care about, or does it just include a matter of meaningless personal achievements? Can the webpage be loaded and displayed normally on the mobile phone? Compared with commercial website, web developer personal website will pay more attention to personality and independent thinking. 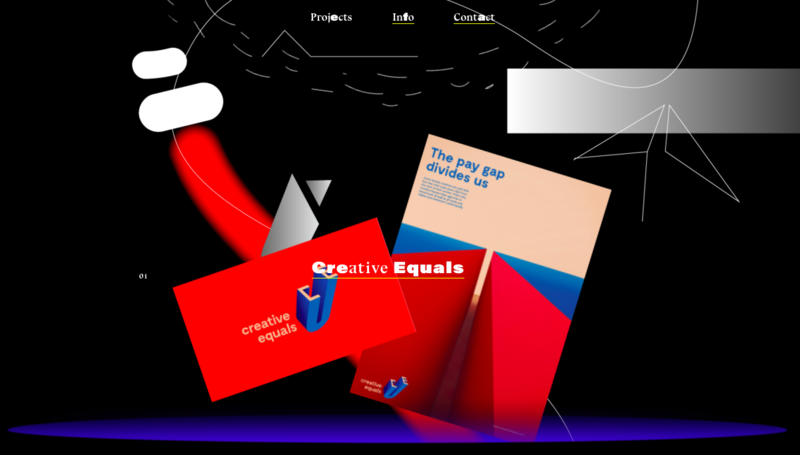 In below, you will find 12 best web developer portfolios from both individual designers and creative studios worldwide. Scroll down and get inspired. Background info: A multidisciplinary designer, tech enthusiast and NBA fan. What’s special: It incorporate interactive experience and video game in our childhood. As you can see, this site looks like an online video game, and you will feel like playing game when scrolling the mouse to learn about Robby’s work experience & professional skills. If you are looking for a novel way to showcase people a seemingly boring but important piece of information, then this website is a perfect example. Background info: A front-end development engineer who loves UI effects, animation and dynamic user experience. What’s special: One single page with black background and clean interface. If you want to make a front end developer portfolio with creativity and beautiful interface, then you cannot miss it out. It adopts black as the background, which makes the site look both stylish and clean. There is a concise self-introduction on the loading page and will load different sections as the page scrolls down, including: professional skills, blog posts, portfolio as well as contact details. 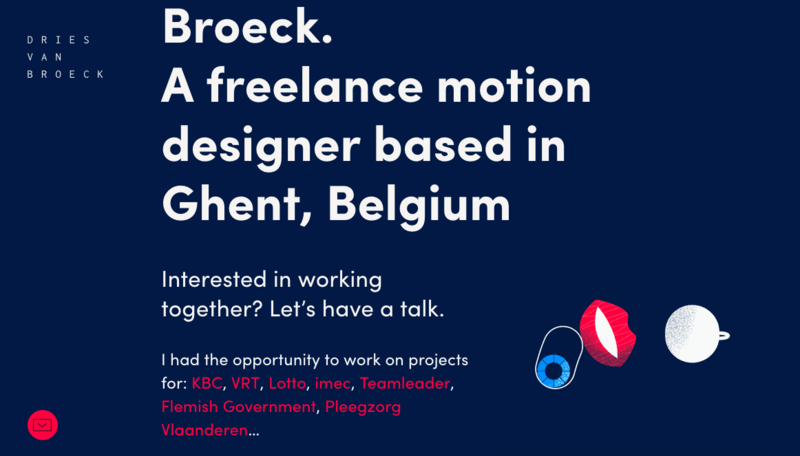 Background info: A motion designer. What’s special: It’s seemingly distracted but highlights the important things masterly. According to the general rules of programmer portfolio website, the dynamic effects might get people easily distracted. But you will find the website is well-designed with details, including the beautifully displayed the carousel, bright prompt text to highlight the author info and the animated small icons to draw user’s attention to the most important part of the webpage. We can see his advanced development and design skills. Background info: A freelance designer. What’s special: This is an all-inclusive designer that gives a deep sense of mystery. This site gives people a sense of mystery, just as the feeling that the author name gives to people. Whether it is minimalism, art or abstraction, it seems that it’s not enough to accurately describe his design features. As the page scrolls down, we will find many reflections of physics and chemistry. Background info: A product designer who often work with startups and large companies in order to create influential electronic products. What’s special: The copywriting and content will leave you a deep impression. It seems to be made by Bootstrap. Though the visual design is not particularly outstanding, it’s very fun to look at its content and copywriting. Background info: A French fashion blogger. What’s special: Bold color scheme and textbook-like minimalism. 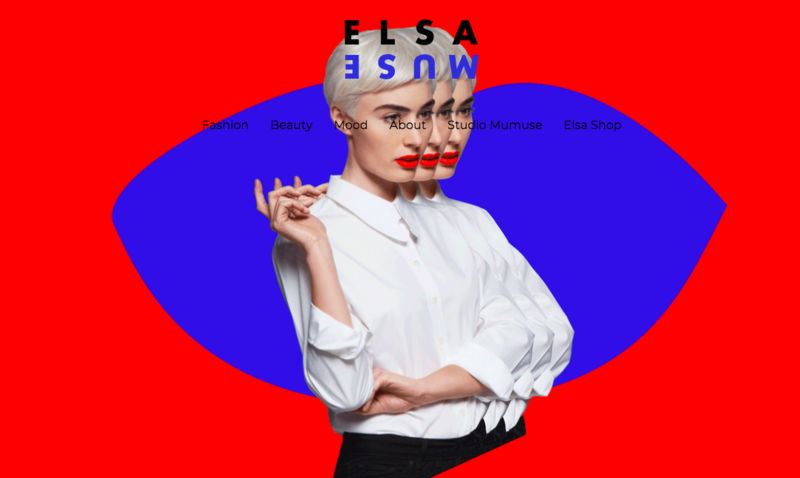 Have to say that Elsa Muse’s design works have some artistic characters, and we can also see it from the website. It’s a good way to broaden our vision by referring to the color scheme and the minimalist design of the textbook. Background info: A personal studio located in Colorado. 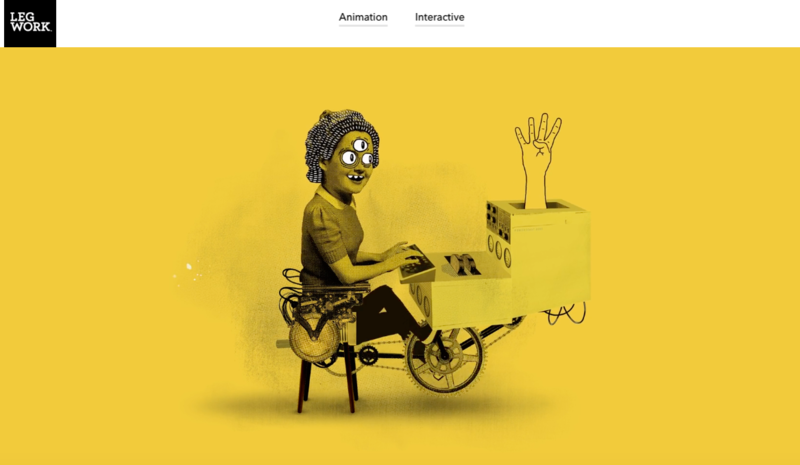 What’s special: Animations and interactive experience that you have never seen before. The animation and the interactive effects together make this website stand out. Many people will be impressed by its unique hand-drawn animations on the homepage. The key is that these animations are not like anything that we have seen before. Background info: A web design company in NYC. What’s special: This site looks professional but unconventional, giving a feeling of relaxation. 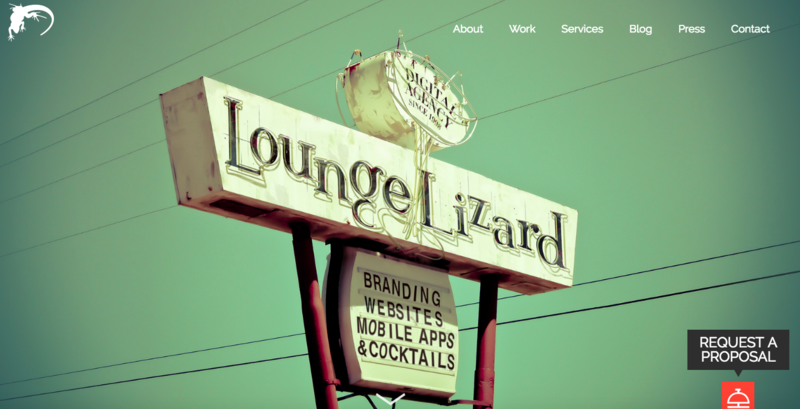 To make a website look professional but unconventional is not easy, but Lounge Lizard company made it. From brand case and photo display of the workplace, this bar-themed website has done a good job of establishing a brand and promoting company reputation. Background info: A web design company located in Paris. What’s special: Visual design with split screen. This website follows a very popular visual design approach – split screen. The overall design of this site is very simple, combined with a large number of spacing and simple color scheme. This also gives a good visual hierarchy. Background info: A freelance graphics and web designers. What’s special: A lot of graphics and animated techniques. 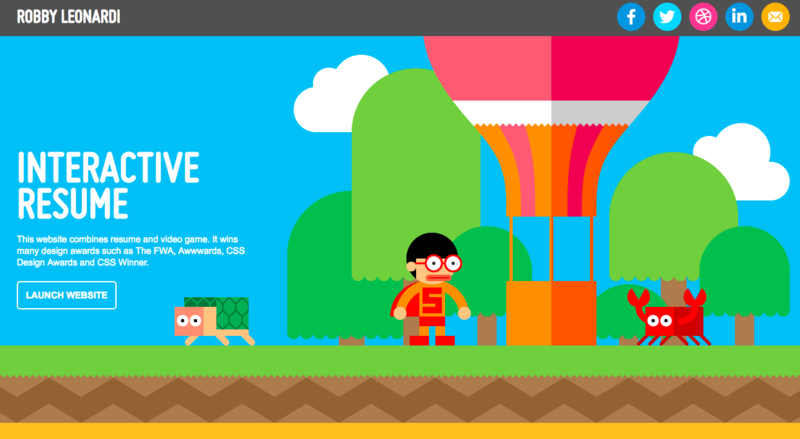 This site uses a lot of CSS technology and animations to create amazing dynamic experience. 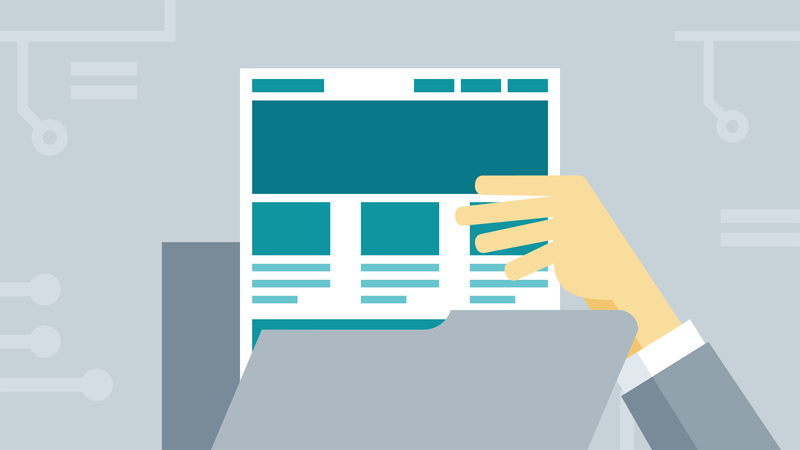 Unlike many long page design, the navigation of this website has been distributed in four directions, which is much different from the traditional arrangement. Background info: A web designer and developer from Toronto. What’s special: It’s a small world of personality. This is a perfect example of full stack web developer portfolio, which presents both the author’s skills and personality. 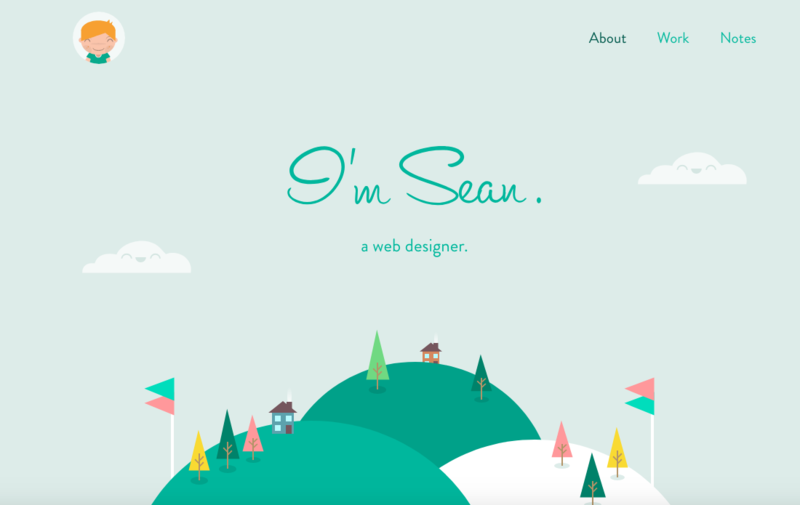 The entire site looks like a designer’s little green world, and Sean also helps others build personal website. Background info: A female designer which has a deep research on programming. What’s special: Perfectly incorporate the 4 basic principles of web design with personalized elements. 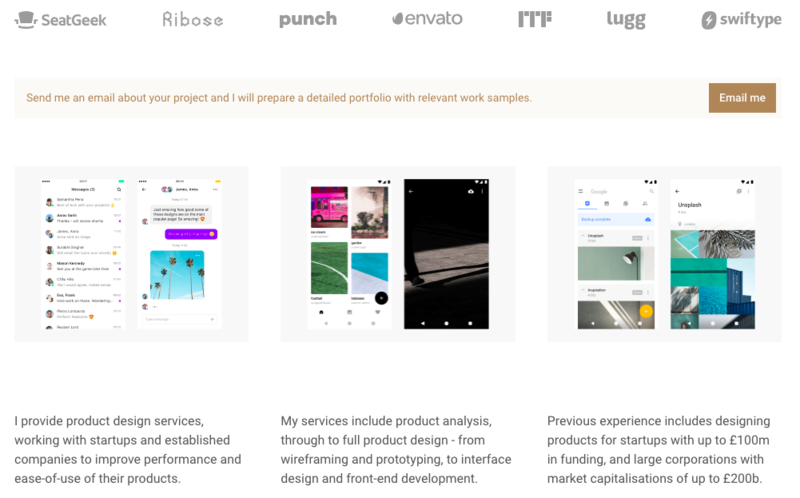 This freelance web developer portfolio has perfectly illustrated the 4 basic principles of design: alignment, repetition, contrast and intimacy. Besides, it has a lot of personalized elements, which are eyes-catching and unique to retain people on the web. 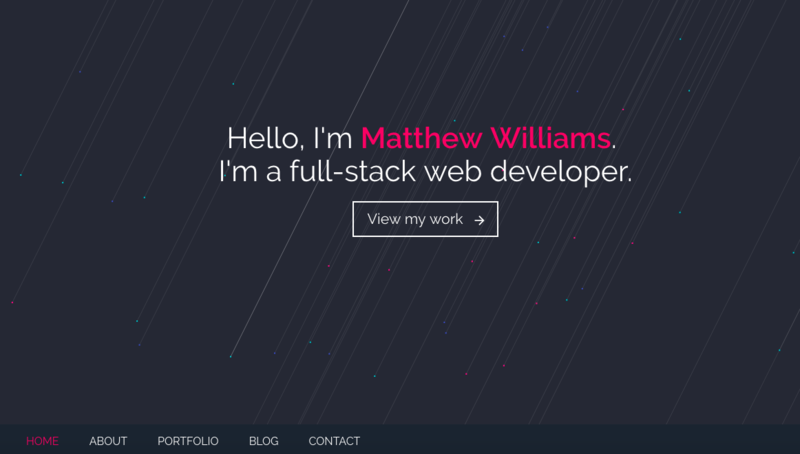 Above are the hand-picked web developer portfolios to bring out your inspirations. However, to make an excellent design, only inspiration or talent is not enough. A useful design tool is a must to help you faster and better make the work done. If you are looking for a combination of functionality and ease-of-use, then Mockplus is a good choice. Not only does it provide a wealth of web design examples, but also includes ready-made components/UI elements to get you started on design with least efforts.